If you find yourself constantly trying to juggle multiple responsibilities and feeling like you are failing miserably, it might be check the scale of work and life and see if it is balanced. Here are some questions to help you take an honest look at your work/life balance. The best part of this exercise is that it applies to everyone…balance is necessary whether you are an entrepreneur or an employee. 1. I find myself spending more and more time on work-related projects. 2. I often feel I don’t have any time for myself — or for my family and friends. 3. No matter what I do, it seems that often every minute of every day is always scheduled for something. 4. 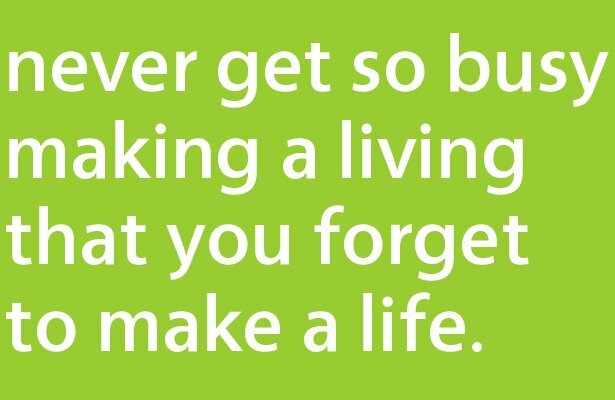 Sometimes I feel as though I’ve lost sight of who I am and why I chose this job/career. 5. I can’t remember the last time I was able to find the time to take a day off to do something fun — something just for me. 6. I feel stressed out most of the time. 7. I can’t even remember the last time I used all my allotted vacation and personal days. 8. It sometimes feels as though I never even have a chance to catch my breath before I have to move on to the next project/crisis. 9. I can’t remember the last time I read — and finished — a book that I was reading purely for pleasure. 10. I wish I had more time for some outside interests and hobbies, but I simply don’t. 11. I often feel exhausted — even early in the week. 12. I can’t remember the last time I went to the movies or visited a museum or attended some other cultural event. 13. I do what I do because so many people (children, partners, parents, organization) depend on me for support. 14. I’ve missed many of my family’s important events because of work-related time pressures and responsibilities. 15. I almost always bring work home with me. Scoring: Give yourself 1 point for each “true” response. Note that each “true” response is a sign that you probably need to make changes in your life — and the higher the number, the more critical it is for you to make changes in your lifestyle. 0-2 Your life is in pretty good balance; just be sure to do what you can to protect that balance. 3-5 Your work/life balance is teetering on the edge; now is the time to make changes before the problems overwhelm you. 5+ Your life is out of balance; you need to take immediate action to make changes in your work and your life before things start crashing around you. Build downtime into your schedule. When you plan your week, make it a point to schedule time with your family and friends, and activities that help you recharge. Drop activities that sap your time or energy. Take stock of activities that don’t enhance your career or personal life, and minimize the time you spend on them. Rethink your errands. Consider whether you can outsource any of your time-consuming household chores or errands. Try to trade services with friends. Offer to do tasks that you enjoy or that you were planning to do anyway. Get moving. It’s hard to make time for exercise when you have a jam-packed schedule, but it may help you get more done by boosting your energy level and ability to concentrate. Remember that a little relaxation goes a long way. Don’t assume that you need to make big changes to bring more balance to your life. Set realistic goals. I’m interested in hearing how you keep balance as you “work your package”. What advice would you give?